Welcome to UltrasoundTechnicianCenter.org. It’s a resource center for people interested in a career as an ultrasound technician. We started UltrasoundTechnicianCenter.org in September of 2012. Our goal is to bring you easy-to-read, comprehensive and accurate information on sonography knowledge, and sonographers’ career development. The practice of medicine relies heavily on diagnostic tools and tests to enable physicians to assess and treat patients. Sonography is one such a tool that works by using high-frequency sound waves to detect tissues and fluids within the body in real time. It then converts these sound wave patterns into visual images that can be viewed on a monitor or stored on DVDs or other media. What are the Risks, Benefits and Future of Ultrasound? Sonographers, also called ultrasound technicians, are highly trained medical professionals responsible for performing ultrasound tests on patients and for providing physicians with technical interpretations of ultrasound images. In addition to these specialized tasks, ultrasound technicians interact extensively with patients and may take on record-keeping or supervisory roles among others. 10 Tips: Is an Online Sonography Program Right for You? What are the benefits and risks for sonographers? Sonographer vs. Physician Assistant: What’s the Difference? The UltrasoundTechnicianCenter.org is a leading website providing the most extensive and comprehensive source of statistical data on the ultrasound schooling, ultrasound employment and salary in the United States. Thank You for visiting our website! Feel free to check out our information on education, jobs and careers, salaries, and ultrasound knowledge. If you have any questions or suggestions, please contact us. If you enjoy visiting our website, please link to us. If you want to explore more from relevant organizations, visit this resource page. 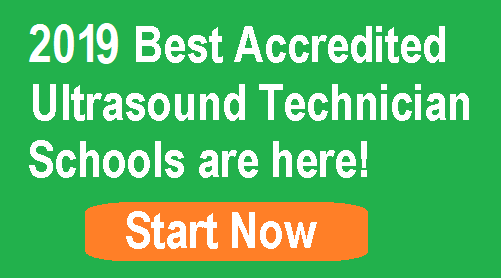 How to Become a Certified Sonographer?